When online and offline collide: Sharing your Instagram shots IRL. With 300 million users uploading 21.9 billion photos on Instagram last year, we’re taking and sharing more photos than ever before. But the funny thing is, we’re printing fewer and fewer of them. Instagram may have the highest engagement of any social network, but you can also engage people by printing out your Instagram shots. The intersection of online and offline is my favorite place to hang. Here are a couple creative ways to share your favorite photos. Sue B. Zimmerman is The Instagram Expert, a high-energy entrepreneur who helps growing businesses find and connect with their audiences on Instagram. Is it any surprise that her business card is an Instagram shot of her in an Instagram frame? Sue's contact information is printed on the back. These are Mini Squares printed by Social Print Studio, a fun online studio that prints your Instagram shots. (I am not an employee, I simply love their products.) And yes, several months after meeting Sue again at #smmw15, I still have her business card pinned up on my bulletin board. How's that for brand engagement? Branding expert Liz Goodgold is a speaker and author of How to Speak Gooder: Brand-New Rules for Public Speaking in a Digitally Distracted World. Liz’s talks are the epitome of “edutainment” – blending information, education, humor, and real-world examples. She is known for her Words of Lizdom, a collection of wise and punny aphorisms. As a holiday gift I designed a card set of her Words of Lizdom. (Large format Squares from Social Print Studio.) I know Liz got a big kick out of them and appreciated the personalized gift. In the writing world, November NaNoWriMo is National Novel Writing Month where writers commit to writing the first draft of a novel. While I couldn’t commit to writing 1,600 words a day, I could commit to writing 1 word a day. So every day for a month, I created a word image on mobile devices, using a combo of photo, Over and Brushes and posted the word image on Instagram. At the end of the month I printed a tiny book, My Favorite Words. I sent My Favorite Words out as a holiday promo to my clients. It was a big hit, many even shared the book on Instagram. Now, over a year later, when I visit their offices, many clients have the tiny book stuck on a filing cabinet. (The back cover contains a magnet! Yep, printed by Social Print Studio.) This is the beauty of print, if you create something precious, people will keep it, providing a lasting branding message. Do you have any crafty Instagram ideas? Share them on Instagram and tag me: @annemccoll. 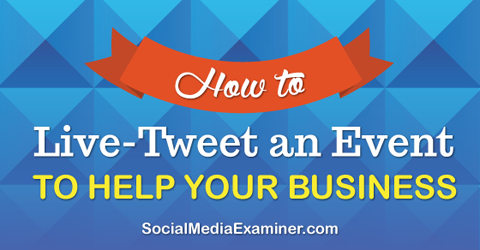 Featured in How to live Tweet an event on Social Media Examiner. My sketchnotes for Social Media Marketing World were featured in an article for Social Media Examiner about how to live Tweet and event to drive traffic to your website. The sketchnotes I created last year for Social Media Marketing World #smmw14 were featured this week in an article on Social Media Examiner: 26 Tips for Improving Social Media Examiner. My sketchnotes illustrated a creative use of Slideshare. Of course, I always want to bring people back to my site but by putting the sketchnotes out on Slideshare, the collection has racked up almost 30,000 views, something that would never have happened had I only posted them on my site. What's first: content or audience. A fun sketch inspired by a great post by Jay Baer that talks about the relationship between content and social media. I had great success with visuals standing out in Twitter feeds building on success from last year. Next year that strategy will be flooded. And when it came to sketchnoting, using a much fatter brush for font emphasis is a quicker way to go rather than block letters. So Social Media Marketing World is blowing into town this week! Beginning with an opening event at the USS Midway Museum. Did you know that the movie Top Gun, that 80s tribute to naval aviation starring Mr. Cruise, was filmed right here in San Diego. As a matter of fact, you should get in the mood by having lunch at the Kansas City BBQ, the scene where Maverick and Goose are out with their family and hot naval instructor PHd girl friend. The Kansas City BBQ is located within a short walk of the Midway. So I'll see you there tonight. But anyway, on to the Top Gun Guide for Social Media Mavericks. Vine gifs: quicker than video. A filter for sharing in the digital age. How much did it cost Yahoo! to redesign their new logo in-house? "On a personal level, I love brands, logos, color, design, and, most of all, Adobe Illustrator. I think it's one of the most incredible software packages ever made. I'm not a pro, but I know enough to be dangerous :) So, one weekend this summer, I rolled up my sleeves and dove into the trenches with our logo design team"
Obviously, Yahoo didn't design their new logo in-house because of economic reasons. Oops. I forgot to add in the price of pizza. See a big version here. Social Media Marketing World hosted by the folks at Social Media Examiner came to town for a few days. I created sketchnotes and sketch tweets during the sessions and tweeted them out. All visuals were created on the fly using the iPad and Brushes and Over apps. One surprising theme – don't discount your email list. It will be the most profitable. How to become extinct in social media. Tonight was the kickoff reception for Social Media Marketing World at the San Diego Natural History Museum. What do you get when 1,000 social media marketers invade a collection dinosaur bones and fossils? All of these images were created live on mobile devices. Oh, I can't believe I haven't shared this yet. Truly, one of my favorite freelance copywriter projects from last year. The Fandom Marketing video. The animation was done by the very talented Todd Anderson of Switchfoot Creative.